The NSZ-GS7 is probably the best way adds the Google TV experience to your existing TV, but Google still has a way to go before it deserves to be a fixture in most living rooms. If at first you don't succeed, try, try again and that's exactly what Google has done with Google TV. With the second generation of Google's software hitting older hardware and some TVs, it only makes sense that Sony would revise its hardware and fill the void left when Logitech decided to leave the party. The $199 NSZ-GS7 from Sony might be the perfect little box for those hoping to internet-enable their TV without actually replacing the TV itself. How well it does at that is exactly what you'll find if you click through. The NSZ-GS7 is a bit smaller than the Logitech Revue was, but still includes HDMI pass-through, SPDIF, two USB ports, built-in IR blaster (external too), Ethernet and integrated WiFi. The box is small and of the high-quality build you'd expect from Sony. Along with USB storage support and FTP access, you get 8GB of internal memory -- although the system info menu indicates only 4GB. We assume the difference is reserved for the OS. It's powered by a dual-core Marvell 1.2Ghz chip, which helps it speed along considerably faster than we recall the Revue ever could. In addition to the usual suspect HD output formats, 3D output and pass-through are supported as well as 24p for your native film content. If you cut the cord and don't have an incoming signal you'd like to pass-through and control, the box works happily as a source to your TV. 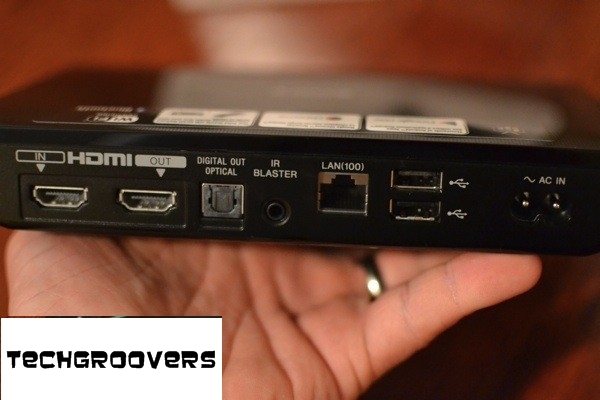 When you do want to control your cable box or Blu-ray player with it, though, you can pass-through both the audio and video -- or just the video, with either Dolby Digital or PCM output via HDMI or the SPDIF connector. There's even an option for Dolby Dynamic Range Control if you'd like to remove the unexpected loud scene here and there. One feature we were very happy to see, that we didn't expect, was HDMI-CEC. You can, of course, just control your TV and AVR with IR, but CEC can save you some time and hassle, and it's something we'd love to see in every set-top box. 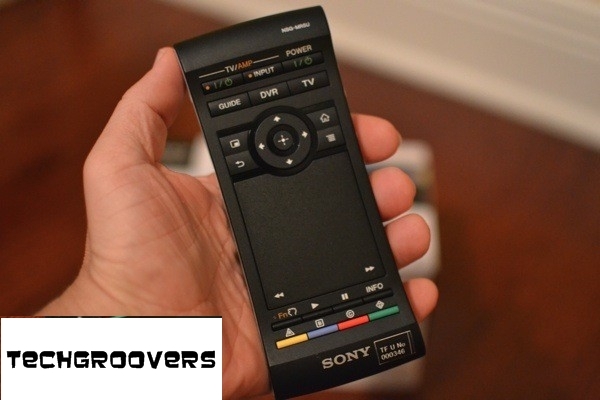 We weren't big fans of Sony's first Google TV remote, but we have to say we like this one. For starters, it's Bluetooth and uses standard batteries. 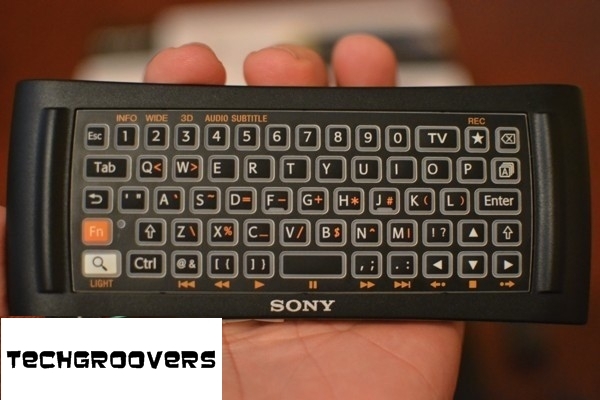 But mostly we love the touchpad over the whatever-you-call-them pointers on the old remote. The touchpad works like the one on your laptop, including abilities like tap-to-click, drag-to-scroll and even pinch-to-zoom. You can, of course, adjust the pointer speed via the system settings as well as enable the backlight for the keyboard -- no lights for the other side, though. Speaking of the keyboard, it is pretty slick, and aside from some funky secondary assignments (exclamation and question marks on the same key? ), it just works. What we really like, though, is that there's a sensor in the remote to prevent accidental clicks when that side of the remote is put down, and that same sensor activates the keyboard backlight when the remote is picked up. Lastly, the sensor is of the three-axis variety, and Sony tells us that developers can tie into it to create games or anything else they can dream up. Aside from all the bells and whistles, the layout of the actual buttons makes sense to us and we appreciate the dedicated hard keys for the d-pad, input selection, home, guide, DVR and others. Oh, and placing the dedicated volume, mute and channel controls on the side of the remote makes it very easy to just pick up and use without ever looking at it -- something every remote must be able to do. 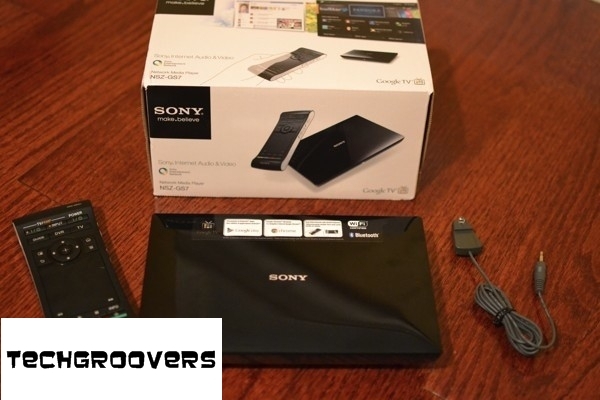 Like the Harmony Revue, this Google TV box can act as a universal remote -- all programmed via on-screen menus -- so the quality of the remote is a real selling point. But if you're among those who believe that remotes with real buttons are so 20th century, no problem -- all the IP remotes for Android and iOS devices are fully supported. 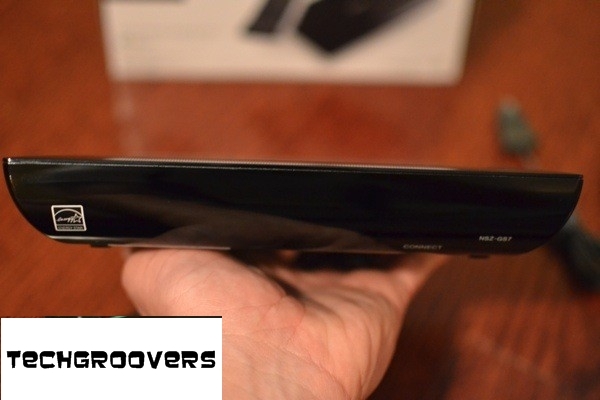 Our review sample of the NSZ-GS7 was loaded with Google TV 3.2 that includes much of the same features and functionalities as we've reviewed in the past. And because it's a Sony, it naturally includes the Sony Entertainment Network. But, there are a few other software features that aren't included in all Google TV devices because this guy isn't built-in to the TV. One of these is the ability to easily change the picture size to compensate for any overscan your TV might not be able to shake. Others include the screensaver, text-to-speech and, of course, all the configuration screens required to control the remote and other hardware features detailed above. Beyond all that, though, it's the same Google TV experience you might find on other newer devices in your home theater. In the end, the Sony NSZ-GS7 is a solid follow-up with some much-appreciated enhancements over previous Google TV hardware. The remote is far and away the greatest improvement, but the presence of HDMI-CEC and other fresh hardware features don't go unnoticed. At $199, it's one of the least expensive ways to get the Google ecosystem onto your TV, but almost twice what many have come to expect to pay for the hockey puck streamers like Roku and Apple TV. By ignoring the price of the competitors and considering what we paid for the last programmable remote we bought, we don't think it's overpriced. That doesn't mean everyone should run out and buy one, but if you've been waiting for the next great Google TV box, your wait is over.